Both the Gateway and eMachine brands were acquired by China’s Acer Corporation in 2007. As such, Gateway stores and brand-specific service centers ceased to exist. That in turn means you need Computer Answers to keep your laptop in good maintenance and repair. In the list below you can see ten common issues with Gateway or eMachine laptops we have successfully resolved over the years. If you don’t see yours on it, that just means it is unusual and we can still repair it. Computer Answers service applies to more than just the hardware. We will analyze your Gateway or eMachine laptop’s operating system and software – free – and advise you on any conflicts or needed updates that our technician finds. For most problems we can do your needed repair or update while you wait at any of our five Computer Answers service centers. Contact us today either by using our Contact Form or give us a call. If you know what your problem is, we can quickly give you a repair or replacement quote. Even if you’re not sure, we can arrange a free, in-store analysis. Computer Answers is ready and waiting for you. 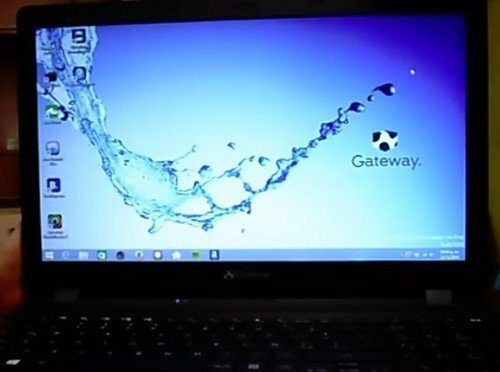 Why Choose Us For Your Gateway Laptop Repair? You are always welcome to walk in with your laptop to any of our five Computer Answers Service Centers, in the Albany/Schenectady area as well as Brooklyn. We can often make the repair while you wait. If dropping in is a problem, you can also just call us Toll Free at 866-488-2806 or use our Contact Form. Describe your problem. We can arrange shipping for your laptop if you can’t come in. We can even send a technician who is expert in laptop repairs to your home or office. What makes us different? How about FREE Diagnostics, repairs while you wait, and a host of other services aimed at getting you back up and running faster than anyone in the business.